One of my favourite events in the year is my visit to Mr Fothergill's trial grounds. The staff are always so welcoming and knowledgeable and being able to find out what is going to be new for next year makes it an exciting day. Walking around the trial field is always a fantastic mix of colour, scent, bees and butterflies. It was a warm sunny day but cooler than we have had recently so perfect for wandering around. It has been a hard year for gardeners, the long cold winter and spring and then the baking heatwave and drought. The trial grounds have been irrigated but the plants have withstood the heat well nonetheless. Plants catch your eye as you walk past, like this pink ipomoea. or this echinacea which I liked a lot. But of course it has to be remembered that these are trial grounds, so this plant has to perform and prove itself to be worthy of sale. Being pretty in itself is just not enough so I will be waiting to see if this makes the grade. Somethings you look at and think 'gosh look at all that bolted lettuce', and then it is explained that this is a good sign for what they are trialling for; this means these varieties will probably be good cut and come again plants. I always find I learn a lot on these visits. A feature in the trial grounds this year was this poppy field created to commemorate the centenary of the end of World War One. Mr Fothergill's has a long connection supporting the Royal Chelsea Hospital through the sale of their Victoria Cross poppy seeds. 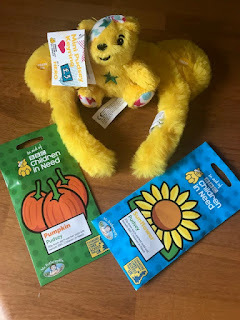 25p from the purchase of each packet is donated to the hospital and to date it is the largest selling single style variety they sell raising over £70,000 for the hospital. The trial grounds also give me lots of inspiration for my garden. I have never considered growing dwarf beans. I have always looked down on them (in every sense) as I have held to the belief that beans should climb. Yet I stood and stared at these french beans for some time I was amazed at the amount of beans on each plant. Immediately ideas started to form in my mind about how I could grow these next year. So next year expect to see some dwarf french beans in my veg borders. To celebrate the 40th anniversary of the company the staff have created two gardens. The one above looks like a 1970s garden and certainly rang true to my memory of gardens as I was growing up. The second garden is contemporary to now to show how gardening styles have changed. 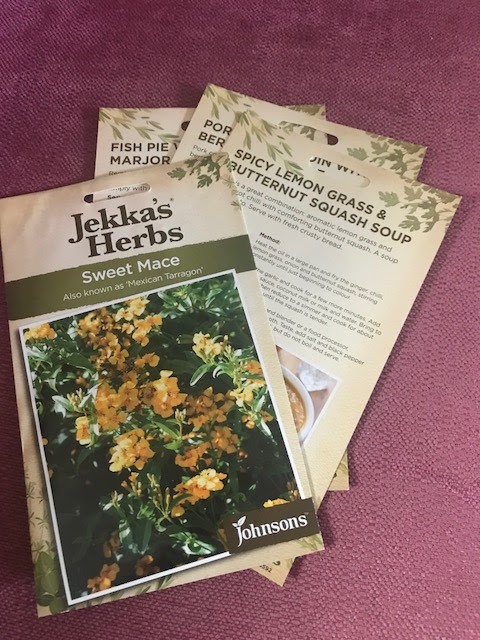 There was also a garden to feature the Jekka McVicar 'Jekka's Herbs' range sold by Johnsons, who are part of the Mr Fothergill's range. It was good to be able to listen to Jekka about growing and using herbs. A feature of the sale of these seeds is that there are recipe cards that are free for people to pick up at the seed display (I cannot say that this is everywhere they are sold). 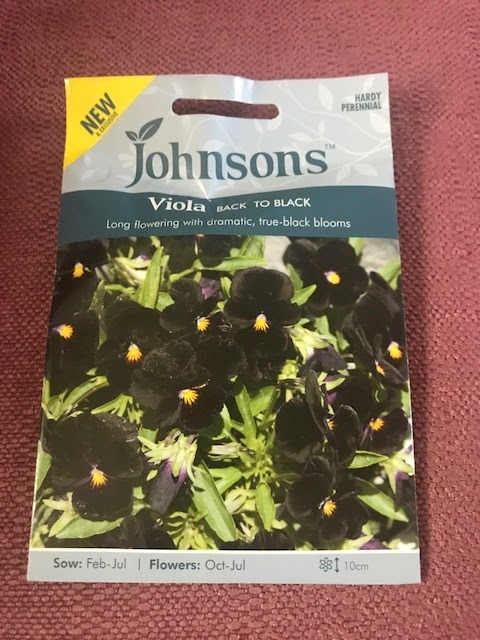 Johnsons are also introducing these 'true black' violas. I am looking forward to trying these out. There is always something a bit special about black flowers and the quest for a black flower. Mr Fothergill's has a long association with Capel Manor College and they donate an annual prize for an exeptional student. 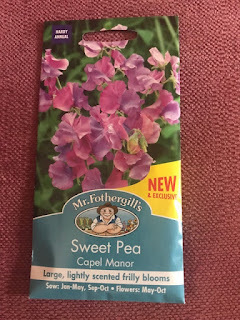 This year is Capel Manor's 50th Anniversary and Mr Fothergill's has named a sweetpea after them. I will be growing this next year so I am looking forward to seeing how it turns out. yes the bear himself made an appearance to celebrate the seed range that Mr Fothergill's has created to help raise money for BBC Children in Need. Mr Fothergill's have these specially designed packets of sunflower and pumpkin seeds, both of which are popular seeds that children like to sow. 30 pence per packet sold will be donated to BBC Children in Need. What a great way of raising money and also to encourage children to be interested in growing things. 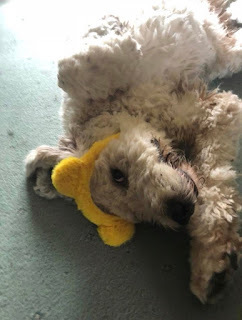 You might have expected a picture with me wearing the Pudsey ears, I did briefly on the day I assure you. I tried to convince the cats to wear them but they were very uncooperative. I did however convince via proxy the wonderful Eddie to pose in them. 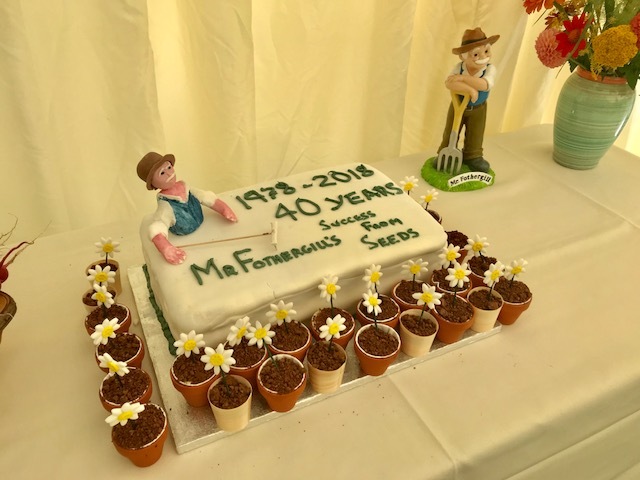 It was a particularly special day as we were celebrating 40 years of Mr Fothergill's, so of course there was cake. It was very good cake. I sincerely wish the Mr Fothergill's team a happy anniversary and here's to many more years. They remain a family business and have a real enthusiasm for what they do. I have written previously about enjoying working with nice people and Mr Fothergill's fit firmly into this category. It is going to be an exciting year ahead with so much to look forward to and I haven't even mentioned that 2018 is the year of the carrot and the nasturtium! I am a better nasturtium grower than carrot so maybe next year is the year I improve on that.